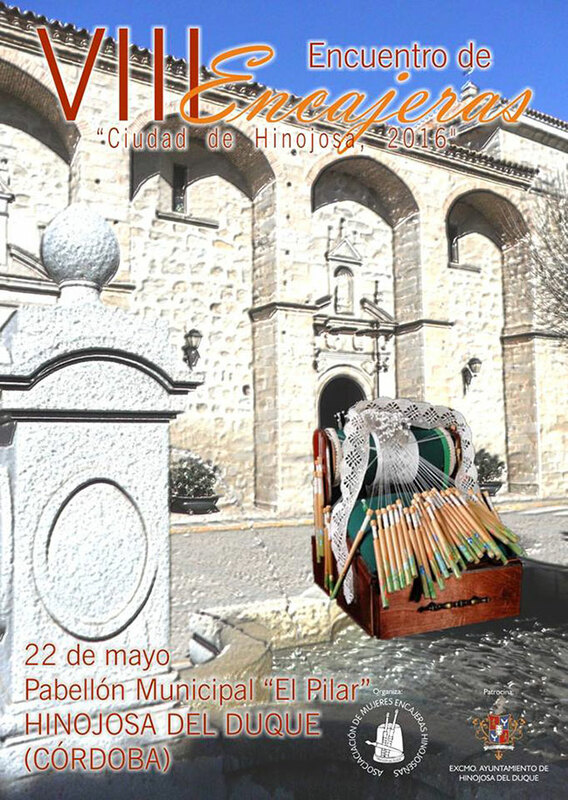 10:00 The Hinojosa lacemakers welcome the participants. 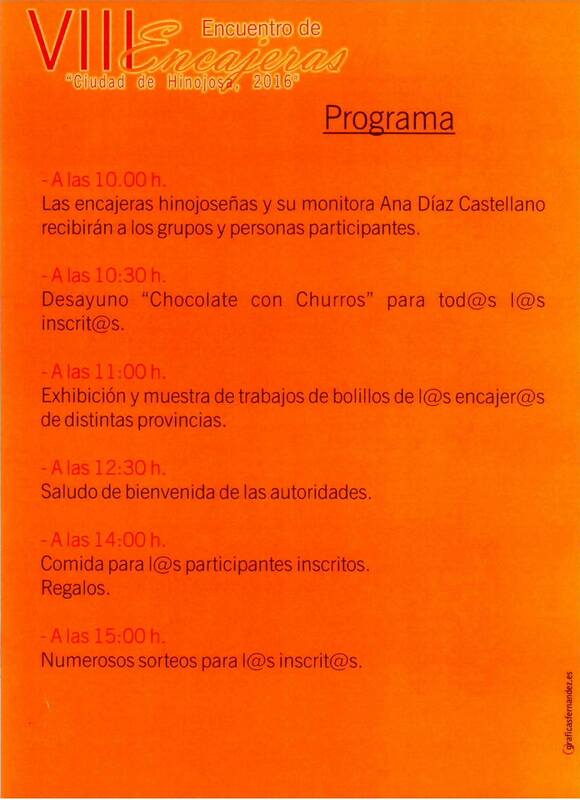 10:30 Breakfast “Chocolate con Churros” for the registrants. 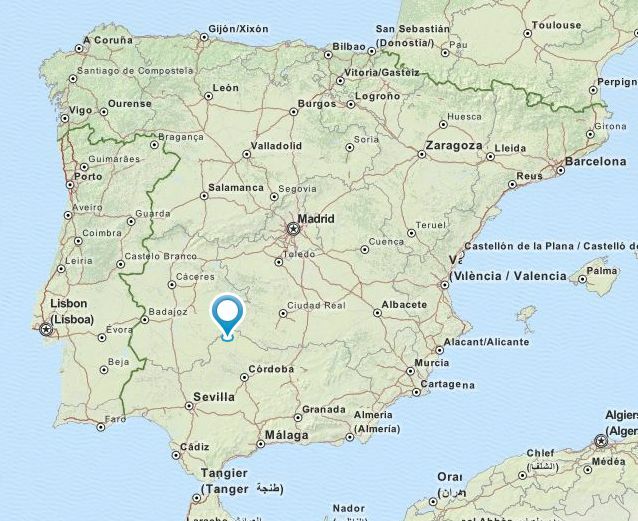 11:00 Exhibition of bobbin lacemaking by the lacemakers of different provinces. 14:00 Meal for the registrants. 15:00 Sweepstakes drawing for the participants. More than 300 lacemakers attended the 2014 event.